Why settle for antiquated, unsafe equipment, when you can employ a state-of-the art computerized automatic shuttle for fast, repetitive RF welding of shaped products. Essential for optimum quality and efficiency, JTE has the most advanced and safest solution at the lowest price. 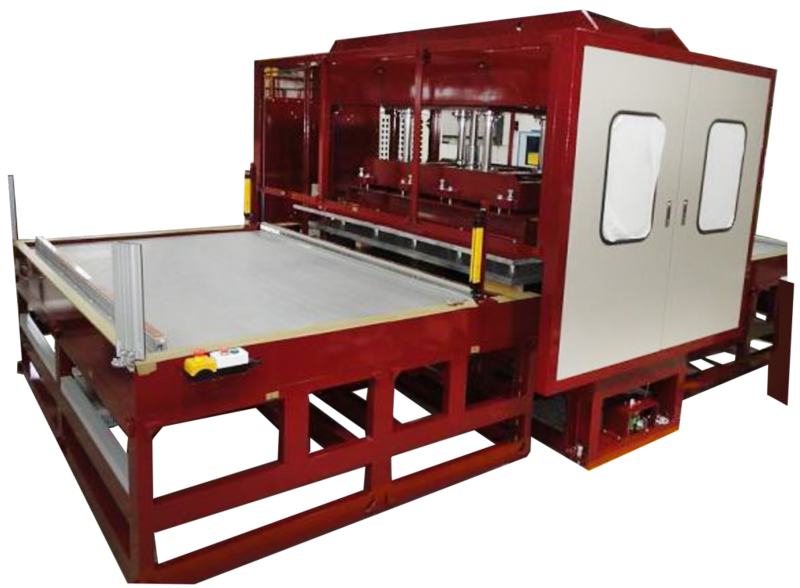 This four post press RF system can be customized for various platen sizes and power requirements ranging from 10kW up to 200kW. Its superior shielding allows for independent shuttle PLC controls, with east recipe recall for consistent production. Auto-tuning and a light guard safety feature are also included. It comes complete with JTE’s superior 24/7 support and custom tooling design team.